Simple and bold, this Chicago White Sox Necklace and Earring Set is a must-have accessory to complete your game day wardrobe The nickel-finish charm and earrings are decorated with your NBA teams logo. Necklace comes with 18-inch chain. These are metal and wire earrings for pierced ears, nickel-finish, and hypoallergenic. Officially licensed NBA product. Dangle earring set. 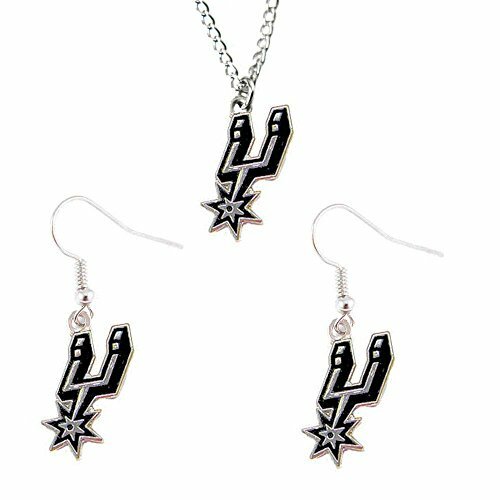 Sports gift jewelry set, Features NBA team logo. Logo approximately 3/4 EACH in diameter, Fish hook earring hanger. If you have any questions about this product by aminco, contact us by completing and submitting the form below. If you are looking for a specif part number, please include it with your message.